There has been much debate over many years about the place of journalism education in the academy, whether journalism is even a ‘discipline’ on a par with others, and whether a journalism methodology should be considered ‘academic’ research. Chris Nash offers a refreshing and thoughtful perspective on these issues in his recent book What is journalism? : The art and politics of a rupture (2016), London, Palgrave MacMillan, which I reviewed for the December 2017 issue of Australian Journalism Review. Here, I offer the unedited version of that review as submitted. Abstract: Review(s) of: What is journalism? : The art and politics of a rupture, by Nash, C. (2016), London, Palgrave MacMillan, ISBN 9781137399335 hbk, 9781137399342 ebk, hbk, ebk, 247pp, $136 hbk, $116 ebk. 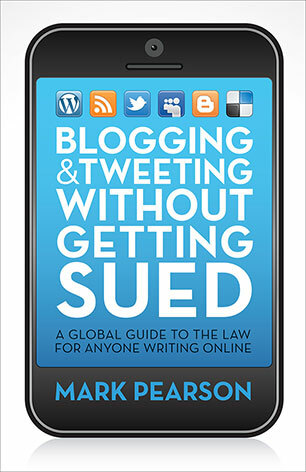 To cite this article: Pearson, Mark. Making the case for a discipline [Book Review] [online]. Australian Journalism Review, Vol. 39, No. 2, Dec 2017: 213-214. Availability: <https://search.informit.com.au/documentSummary;dn=360615283766665;res=IELLCC&gt; ISSN: 0810-2686. [cited 16 Feb 18]. Chris Nash reaffirms his place as a leading intellectual in Australian journalism education with this book exploring the theoretical and methodological status of journalism in the academy. While the main title – What is Journalism? 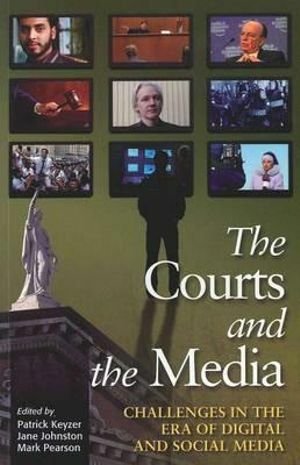 – might be suggestive of an introductory undergraduate text or even a careers guide, the subtitle The Art and Politics of a Rupture establishes Nash’s higher purpose – to develop and map a status for quality journalism as an academic method and discipline in its own right rather than mere fodder for ‘true’ academic disciplines like history, sociology, philosophy and media studies. “As far as other disciplines are largely concerned, there is no issue to discuss; there is scholarship, there is journalism, and they are different,” Nash writes. “Journalist scholars are being crushed in a glacial silence, caught between the continuing innovations and achievements in professional practice and the wall of resistance in the academic world. The position is untenable. (p. 236). 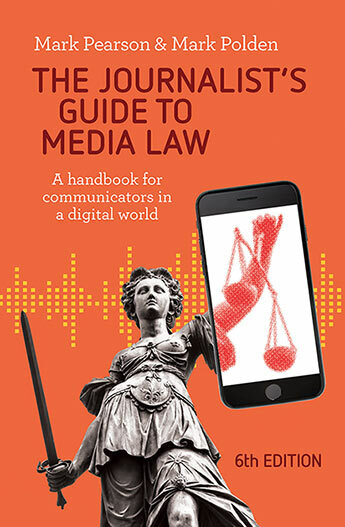 This is a book targeted at the academy and graduate journalism students, particularly those experienced journalists undertaking doctoral research degrees in journalism. In a precise yet accessible narrative, Nash centres his argument upon the fulcrum of an epistemological ‘rupture’ – when artist Hans Haacke’s exhibition at New York’s Guggenheim Museum in 1971 was cancelled by the museum director because three of the works were “not art but journalism” – in a “high-profile act of repudiation” (pp. 1 and 203). Nash juxtaposes this case study (and suspends the question of whether journalism can, in fact, be art) against an analysis of two works of non-fiction by I.F. Stone, regarded as among the greatest journalists of the twentieth century – one critiquing the US role in the Korean War and the other using available artefacts to revisit the events surrounding the ancient Trial of Socrates. Nash proceeds to elicit frameworks (some presented as conceptual matrices) – drawn from Pierre Bourdieu, David Harvey, Henri Lefebvre, Michel-Rolph Trouillot and Gaye Tuchman – to identify key components of what might constitute journalism, including space, time, social relations and imagination. He treats as methodological challenges journalism’s purported shortcomings as an academically acceptable research output – the elusive notion of ‘news sense’, the focus on a present without context and the unquestioning dependence on powerful establishment sources. The result is a novel and important contribution to the debate about the constituent components of journalism at its best. ‘News sense’ is that opaque quality, a sixth sense for identifying newsworthiness in a given set of facts that might make it a story – a facility journalists are meant to either possess innately or learn on the job. In Australian journalism education it was so closely identified with what it meant to be a journalist that Adelaide Advertiser cadet trainer Bob Jervis adopted it as the title of his leading craft-oriented journalism textbook in 1985. Nash elevates this ‘nose for news’ beyond its trade school status by building it into “a theory that validated the reflexivity of what appears to be intuition” and links it to spatiotemporarity (p. 109). To do so, he invokes Bourdieu’s field theory and its incumbent concept of ‘habitus’ as a metatheoretical framework. As predominantly a media law scholar, I am in awe of Nash’s command of the body of intellectual literature that backgrounds his argument – which he explains in his clear and erudite style and then weaves it meticulously into his model (not a ‘theory’, he insists) of what journalism truly is. In an era of technologically, economically and culturally disrupted journalism, Nash might have found more room to flesh out the important question of journalistic identity – in both the form of self-identity of those who practice journalism and the acknowledgement of others (peers and audiences) that the work produced is indeed journalism. Self-identity involves journalists’ self-labelling as ‘journalists’ rather than as historians, artists, strategic communicators, PR practitioners or sociologists. It was a crucial distinction between the two main protagonists in his study – Haacke who produced works of ‘journalism’ but who identified as an artist, and Stone who identified as a journalist but produced incisive historical and political analysis yet eschewed the academy. There are parallels with indigenous identity here – genetics alone are not enough. 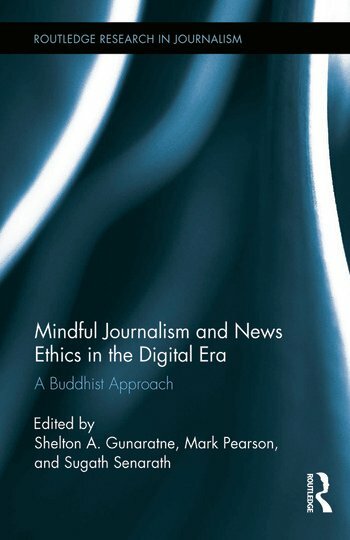 And this is where peer and audience acceptance plays a role in who might be a journalist and whether the work they produce might be accepted as ‘journalism’, whether or not it meets the Nash criteria for journalism of such a high quality and standard of reflexivity that it might also stand as acceptable academic research. This public morality sits well with journalism because a defining element of journalism is its public voice. It is possible for scholars in other disciplines to directly address only one another through academic texts and conference presentations, but journalism must always directly address a notional public and use a public voice. (p. 227). All of this has practical implications for pragmatic issues like government agencies’ proffering a field of research code to journalism and universities’ acceptance of works of journalism as academic research outputs. In short, Nash has offered tools for such debates with this important addition to the international literature on journalism epistemology, theory and methodology. The global positioning and application of his thesis is a crucial component of his achievement. It is heartening to see an Australian journalism educator take the world stage with this impressive scholarly contribution. The review sits within an excellent edition of AJR – the last edited by my esteemed colleague Professor Ian Richards – recently retired from the University of South Australia. A heartfelt welcome to new editor, Dr Kathryn Bowd from the University of Adelaide. Here are the contents of Ian’s final edition. I recommend it to you and your libraries for subscription.